Apple's iPhone XS Max is now around six months old, but it still has impressive specs. Inside the iPhone is Apple's A12 Bionic processor and 4GB of RAM. 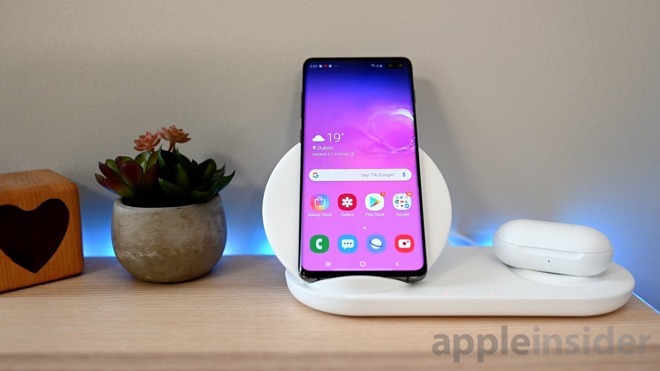 The Galaxy S10+ is using an eight-core Snapdragon 855 processor in the US, and is packing 8GB of RAM. 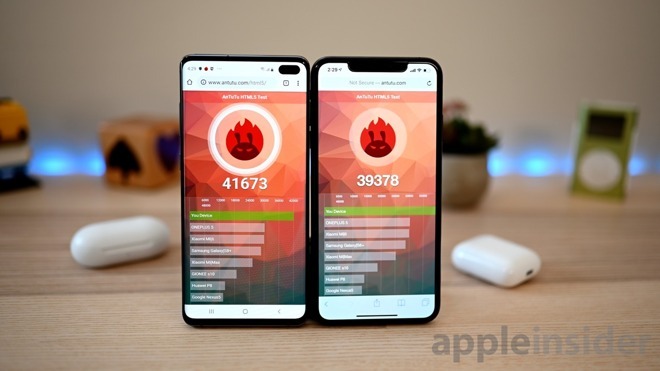 We ran a slew of different benchmarking tests with both phones, designed to test everyday performance, the limits of the GPU, browser capabilities, and more. Starting off, we jumped into Geekbench 4 which runs a battery of tests to simulate real-world tasks. 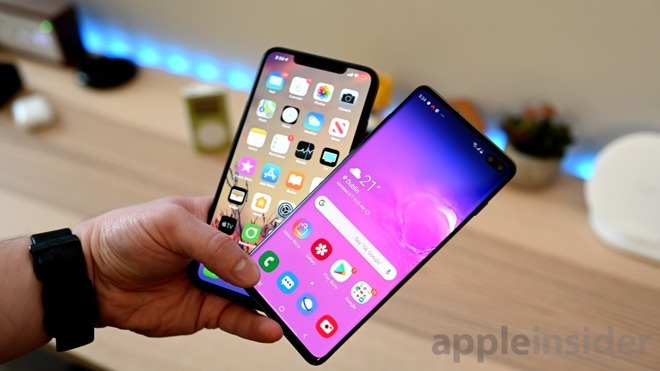 Apple's iPhone XS Max pulled well ahead in the single core with 4828 against the S10+'s 3426 but was edged out by the Galaxy S10+ in multicore where iPhone earned 10355 against the Galaxy's 10466. For comparison, our S9+ earned 2007 and 8307 on the single and multi-core tests respectively. We then moved on to the AnTuTu benchmarking test. 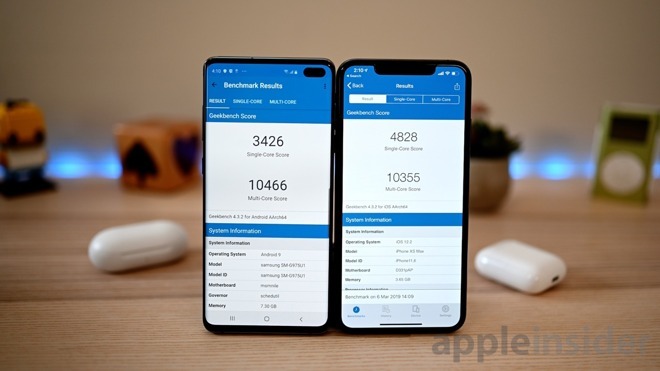 The iPhone XS Max was handily beaten by the Galaxy S10+ in total score, and most of the individual tests. The S10+ earned a 362392 against the iPhone's 313461. Apple's handset did manage to win one category, beating the Galaxy in RAM usage. 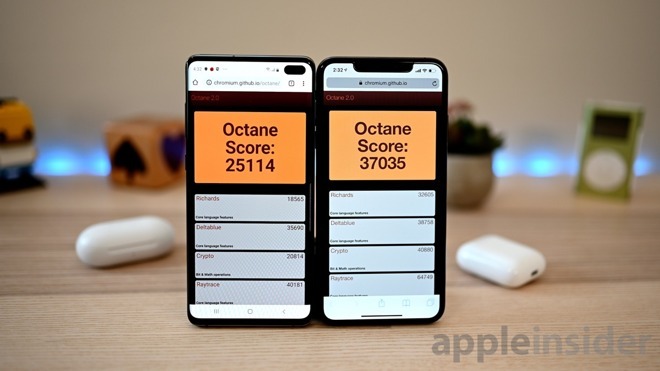 We then turned to the Octane 2.0 test, which while retired, still gives a solid gauge of web performance, especially to compare to previous year's tests like on the S9+ and iPhone X. Here, the iPhone won easily with a score of 37035, significantly above the 25114 we saw from the S10+. Our last graphics test was the GFXBench benchmark. 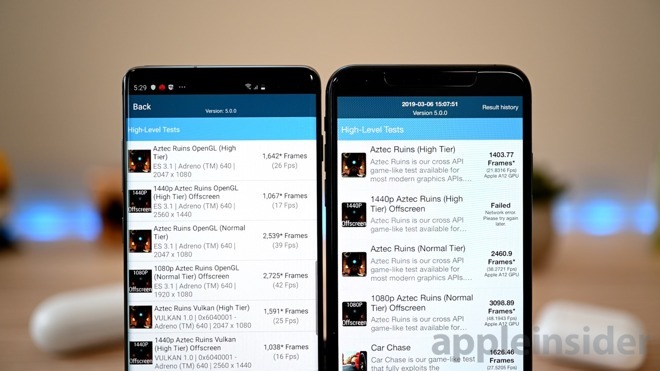 There are multiple tests to compare, but when looking at the most recently added high tier Aztec Ruins test, the iPhone earned 1403.77 frames at a 21.8 fps against the S10 which pulled 1642 frames at 26 fps. Close, but the Galaxy S10+ won again here. Lastly, we tested wireless performance on our home network. Running on a 802.11ac network, our S10+ pulled on average 120Mbps where our iPhone earned around 100Mbps. This will vary a great deal from setup to setup, though. The results here are impressive —for both handsets. Apple's iPhone held its own, winning in multiple categories despite being six months old. On the other hand, the Galaxy S10+ pulled some great numbers that show significant growth over the previous S9.